When searching for a home, especially in a busy area like Beckenham, the process can seem daunting due to the high property prices and limited availability. Add to this the lack of time, energy and funds that most individuals have available to them, there is no doubt that compromises will often have to be made. Finding your perfect home in the desired location with the required amount of space can more often than not seem like an impossible task. 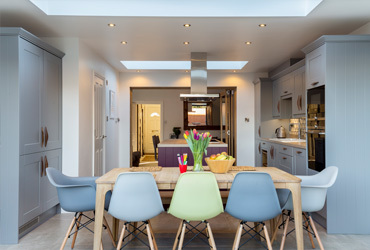 Happily help is on hand from the roof conversion Beckenham specialists, Berry Construction. The most important factor will of course be the height, since clearly you will need to have room to manoeuvre and a comfortable area to suit your specific needs. 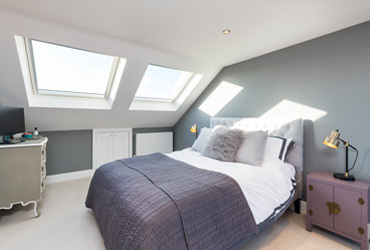 For the most experienced roof conversion Beckenham has to offer, by contacting Berry Construction, they can advise you with regard to your particular requirements and help you transform your wasted space into a fully functional part of your home. A roof conversion is a sensible way to help your home grow with you and your family. You may have had enough space when you first moved in, but with time and additions to a family, space can become limited. Rather than invest a great deal of time and money into searching for another home, consider making the most of the home you already have. Bedrooms and home offices are common uses for this converted space, but the possibilities are endless. Turn the space into a dedicated playroom or into an exercise room. Perhaps you've always wanted to be an artist or craftsperson; you can turn the space into your own studio. If you have enough space available, you could even turn the area into a separate apartment, either for a family member or for a renter if you want a bit of extra income. 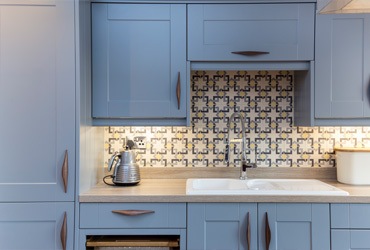 Once you have an idea in mind of how you want to best utilise the space, make an appointment with us for a free, no-obligation visit to discuss the possibilities. We will work with you every step of the way to ensure that you get the most out of your space. From design plans to construction, and even down to the finishing touches, we keep you involved and informed so you can make the right choice for your home. With a home in Beckenham, you may find yourself living in a listed building or in a conservation area. As a result, an extension to your home is rarely possible. However, a roof conversion may be an option, and we can help you determine what is possible, as well as any planning permission that may be necessary. If your home is not under any restrictions, you may not even need any planning permits at all to undertake a roof conversion. A professional roof conversion will make use of any under-utilised space and transform your property into an appealing, useful living area that will soon become an integral part of your home and it is absolutely essential to select a construction company that is not only trustworthy and reliable, but also experienced in this type of property improvement. Berry Construction provides the most superior roof conversion Beckenham has to offer, giving our customers peace of mind and attention to detail that more often than not results in a conversion that exceeds your expectations and enables the home of your dreams to finally become a reality.